Last week the American Association of School Librarians launched new National School Library Standards! Designed to empower leaders to transform teaching and learning, the National School Library Standards enable personalization for every learner and school librarian, allowing you to continuously tailor your school library to local needs, your own strengths, and learners’ benefits. View the videos below for some general facts about the new standards and their creation. Begin familiarizing yourself with the six Shared Foundations that anchor AASL Standards Integrated Framework. This shared collection of infographics summarizes competencies from the AASL Standards Framework for Learners and suggests some actions school librarians can take to get started with the standards. Just click on the icons located on the website listed below. It's All About the Books...Or Is It? When is the last time you thought about the duties of a 21st-century librarian? Gone are those days of simply curating and circulating books and sharing stories with children. Now, we get to do so much more. 4) We get to see the connection sparks fly! 5) We get to play all day! Remember to continue to check the A+ Curriculum Guides located in our Notebook to align the skills you are teaching with the pacing guide included. We will be looking for feedback on where the skills fall, vocabulary identified, etc. throughout this school year. If you have any questions, suggestions, or comments about what is in the curriculum guides, please let Courtney know! Send Courtney What You are Thankful For! I would love to feature some of the things you are thankful for as a librarian and in your school library in the month of November. Just email me a quick sentence or two if it would be ok for me to share your thoughts on social media. Did you know that Follett has added almost 600 titles to their Lightbox offerings since it launched? And, that there are now Lightbox books that cover grades K-12? These interactive eBooks are unlimited, multi-user access and come with a matching hardcover book, all for about $40-60. This might be great resources to purchase to use in the library or in the classroom. Check them out today! In Titlewave click on Shop by Department. Select eBooks and Digital. 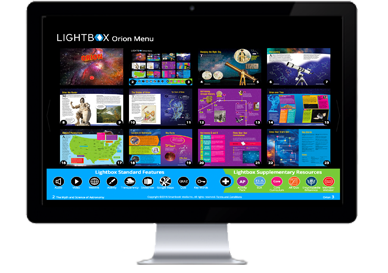 On the right there is a link to learn more about Lightbox. Click the on that and then there is a button to launch demo. There you will see books on a variety of topics at all grade levels. Son won't turn off his video game? Daughter obsessed with "likes" on Instagram? It may not be entirely their fault. Like the high-octane sugar in a pint of Ben & Jerry's and that irresistible chemical spice in Flamin' Hot Cheetos, the ingredients in social media, video games, apps, and other digital products are carefully engineered to keep you coming back for more. While researchers are still trying to discover whether kids (and parents) can be addicted to technology, some computer scientists are revealing their secrets for keeping us hooked.